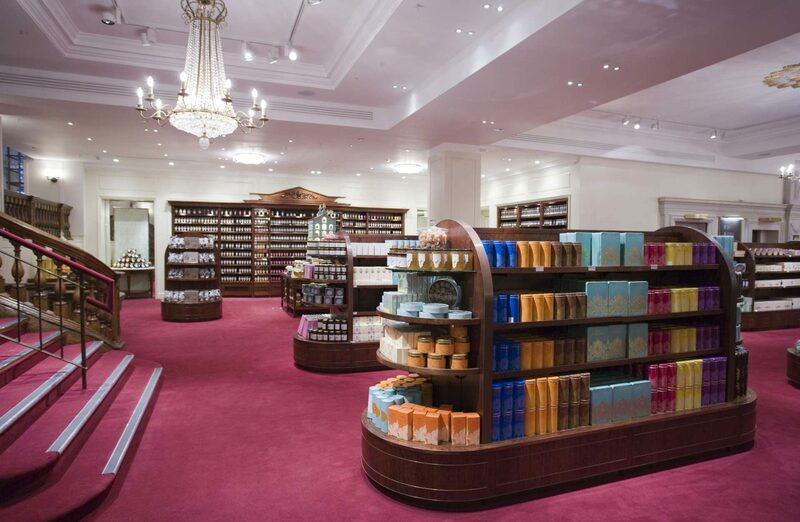 When Fortnum & Mason undertook extensive development of its Piccadilly store to update the shopping experience for customers, lighting was considered an essential element of the project. It was decided to retain many of the store’s vintage chandeliers to ensure its stylish ambience. Many of the chandeliers required extensive refurbishment having graced the 300-year-old, iconic store for many years. We were the obvious choice for this task. More than 100 chandeliers were carefully removed and brought to our facility, where our highly trained restoration specialists replaced castings, repaired metalwork and rewired fittings in accordance with current electrical regulations. The refurbished fittings were then returned to site and re-fitted by our skilled operatives.